All we have had about the work of the blessed Spirit is dependent upon what we think of Jesus, for it is from Christ Jesus that the Spirit comes to us; it is to Christ Jesus that the Spirit ever brings us; and the one need of the Christian life day by day and hour by hour is this,-the presence of the Son of God. God is our salvation. If I have Christ with me and Christ in me, I have full salvation. We have spoken about the life of failure and of the flesh, about the life of unbelief and disobedience, about the life of ups and downs, the wilderness life of sadness and of sorrow; but we have heard, and we have believed, there is deliverance. Bless God, He brought us out of Egypt, that He might bring us into Canaan, into the very rest of God and Jesus Christ. He is our peace, He is our rest. Oh, if I may only have the presence of Jesus as the victory over every sin: the presence of Jesus as the strength for every duty, then my life shall be in the full sunshine of God’s unbroken fellowship, and the word will be fulfilled to me in most blessed experience, “Son, thou art ever with me, and all I have is thine,” and my heart shall answer, “Father, I never knew it, but it is true,-I am ever with thee and all Thou hast is mine.” God has given all He has to Christ, and God longs that Christ should have you and me entirely. I come to every hungry heart and say, “If you want to live to the glory of God, seek one thing, to claim, to believe that the presence of Jesus can be with you every moment of your life. I want to speak about the presence of Jesus as it is set before us in that blessed story of Christ’s walking on the sea. Come and look with me at some points that are suggested to us. 1. Think, first, of the presence of Christ lost. You know the disciples loved Christ, clung to Him, and with all their failings, they delighted in Him. But what happened? The Master went up into the mountain to pray, and sent them across the sea all alone without Him; there came a storm, and they toiled, rowed, and labored, but the wind was against them, they made no progress, they were in danger of perishing, and how their hearts said, “Oh, if the Master only were here!” But His presence was gone. They missed Him. Once before, they had been in a storm, and Christ had said, “Peace, be still,” and all was well; but here they are in darkness, danger, and terrible trouble, and no Christ to help them. Ah, isn’t that the life of many a believer at times? I get into darkness, I have committed sin, the cloud is on me, I miss the face of Jesus; and for days and days I work, worry, and labor; but it is all in vain, for I miss the presence of Christ. Oh, beloved, let us write that down,-the presence of Jesus lost is the cause of all our wretchedness and failure. 2. 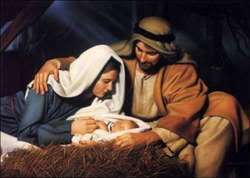 Look at the second step,-the presence of Jesus dreaded. They were longing for the presence of Christ, and Christ came after midnight: He came walking on the water amid the waves; but they didn’t recognize Him, and they cried out, for fear, “It is a spirit!” Their beloved Lord was coming nigh, and they knew Him not. They dreaded His approach. And, ah, how often have I seen a believer dreading the approach of Christ,-crying out for Him, longing for Him, and yet dreading His coming. And why? Because Christ came in a fashion that they expected not. Perhaps some have been saying, “Alas, alas! I fear I never can have the abiding presence of Christ.” You have heard what we have said about a life in the Spirit: you have heard what we have said about abiding ever in the presence of God and in His fellowship, and you have been afraid of it, afraid of it; and you have said, “It is too high and too difficult.” You have dreaded the very teaching that was going to help you. Jesus came to you in the teaching, and you didn’t recognize His love. Or, perhaps, He came in a way that you dreaded His presence. Perhaps God has been speaking to you about some sin. There is that sin of temper, or that sin of unlovingness, or that sin of unforgivingness, or that sin of worldliness, compromise, and fellowship with the world, that love of man and man’s honor, that fear of man and man’s opinion, or that pride and self confidence. God has been speaking to you about it, and yet you have been frightened. 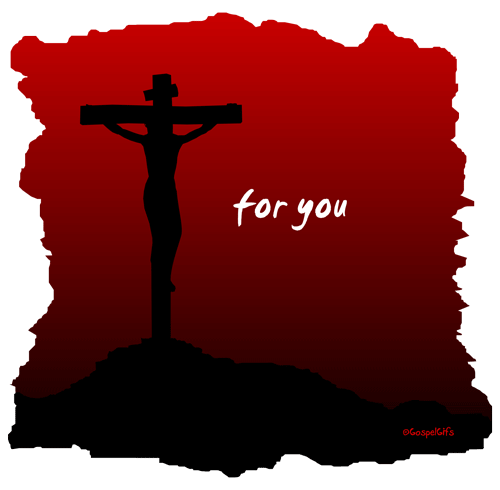 That was Jesus wanting to draw you nigh, but you were afraid. You don’t see how you can give up all that, you are not ready to say, “At any sacrifice I am going to have that taken out of me, and I will give it up,” and while God and Christ were coming nigh to bless you, you were afraid of Him. Oh, believers, at other times Christ has come to you with affliction, and perhaps you have said, “If I want to be entirely holy, I know I shall have to be afflicted, and I am afraid of affliction,” and you have dreaded the thought, “Christ may come to me in affliction.” The presence of Christ dreaded!-oh, beloved, I want to tell you it is all misconception. The disciples had no reason to dread that “spirit” coming there, for it was Christ Himself; and, when God’s word comes close to you and touches your heart, remember that is Christ out of Whose mouth goes the two-edged sword. It is Christ in His love coming to cut away the sin, that He may fill your heart with the blessing of God’s love. Beware of dreading the presence of Christ. Oh, beloved; God has given us Christ. And does God want me to have Christ every moment? Without doubt. God wants the presence of Christ to be the joy of every hour of my life, and, if there is one thing sure, Christ can reveal Himself to me every moment. Are you willing to come and claim this privilege? He can reveal Himself. I cannot reveal Him to you; you cannot grasp Him; but He can shine into your heart. How can I see the sunlight tomorrow morning, if I am spared? The sunlight will reveal itself. How can I know Christ? 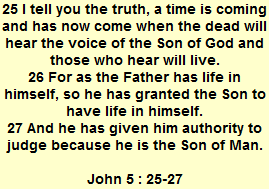 Christ can reveal Himself. And, ere I go further, I pray you to set your heart upon this, and to offer the humble prayer, “Lord, now reveal Thyself to me, so, that I may never lose the sight of Thee. Give me to understand that through the thick darkness Thou comest to make Thyself known.” Let not one heart doubt, however dark it may be,-at midnight,-whatever midnight there be in the soul,-at midnight, in the dark, Christ can reveal Himself. Ah, thank God, often after a life of ten and twenty years of dawn, after a life of ten and twenty years of struggling, now in the light, and now in the dark, there comes a time when Jesus is willing just to give Himself to us, nevermore to part. God grant us that presence of Jesus! Friends, would you not like to have the presence of Christ in this way? Not that Christ should come down,-that is what many Christians want; they want to continue in their sinful walk, they want to continue in their worldly walk, they want to continue in their old life, and they want Christ to come down to them with His comfort, His presence, and His love; but that cannot be. If I am to have the presence of Christ, I must walk as He walked. His walk was a supernatural one. He walked in the love and in the power of God. Most people walk according to the circumstances in which they are, and most people say, “I am depending upon circumstances for my religion. A hundred times over you hear people say, “My circumstances prevent my enjoying unbroken fellowship with Jesus.” What were the circumstances that were found about Christ? The wind and the waves,-and Christ walked triumphant over circumstances; and Peter said, “Like my Lord I can triumph over all circumstances: anything around me is nothing, if I have Jesus.” He longed for the presence of Christ. Would God that, as we look at the life of Christ upon earth, as we look how Christ walked and conquered the waves, every one of us could say, “I want to walk like Jesus.” If that is your heart’s desire, you can expect the presence of Jesus; but as long as you want to walk on a lower level than Christ, as long as you want to have a little of the world, and a little of self-will, do not expect to have the presence of Christ. Near Christ, and like Christ,-the two things go together. Have you taken that in? Peter wanted to walk like Christ that he might get near Christ; and it is this I want to offer every one of you. I want to say to the weakest believer, “With God’s presence you can have the presence and fellowship of Christ all the day long, your whole life through.” I want to bring you that promise, but I must give God’s condition,-walk like Christ, and you shall always abide near Christ. The presence of Christ invites you to come and have unbroken fellowship with Him. 5. Then comes the next thought. We have just had the presence of Christ desired, and my next thought is,-the presence of Christ trusted. The Lord Jesus said, “Come,” and what did Peter do? He stepped out of the boat. How did he dare to do it against all the laws of nature?-how did he dare to do it? He sought Christ, he heard Christ’s voice, he trusted Christ’s presence and power, and in the faith of Christ he said, “I can walk on the water,” and he stepped out of the boat. Here is the turning point; here is the crisis. Peter saw Christ in the manifestation of a supernatural power, and Peter believed that supernatural power could work in him, and he could live a supernatural life. He believed this applied to walking on the sea; and herein lies the whole secret of the life of faith. Christ had supernatural power,-the power of heaven, the power of holiness, the power of fellowship with God, and Christ can give me grace to live as He lived. If I will but, like Peter, look at Christ and say to Christ, “Lord, speak the word, and I will come,” and if I will listen to Christ saying, “Come,” I, too, shall have power to walk upon the waves. 6. Now, the sixth step in this wonderful history. The presence of Christ forgotten. Peter got out of the boat and began to walk toward the Lord Jesus with his eyes fixed upon Him. The presence of Christ was trusted by him, and he walked boldly over the waves; but all at once he took his eyes off Jesus, and he began at once to sink, and there was Peter, his walk of faith at an end; all drenched and drowning and crying, “Lord, help me!” There are some of you saying in your hearts, I know, “Ah, that’s what will come of your higher-life Christians.” There are people who say, “You never can life that life; do not talk of it; you must always be failing.” Peter always failed before Pentecost. It was because the Holy Spirit had not yet come, and therefore his experience goes to teach us, that while Peter was still in the life of the flesh he must fail somehow or other. But, thank God, there was One to life him out of the failure; and our last point will be to prove that out of that failure he came into closer union with Jesus than ever before, and deeper dependence. But listen, first, while I speak to you about this failure. Someone may say, “I have been trying, to say, ‘Lord, I will live it;’ but, tell me, suppose failure come, what then?” Learn from Peter what you ought to do. What did Peter do? The very opposite of what most do. What did he do when he began to sink? That very moment, without one word of self-reproach of self-condemnation, he cried, “Lord, help me!” I wish I could teach every Christian that. I remember the time in my spiritual life when that became clear to me; for up to that time, when I failed, my only thought was to reproach and condemn myself, and I thought that would do me good. I found it didn’t do me good; and I learn from Peter that my work is, the very moment I fail, to say, “Jesus, Master, help me!” and the very moment I say that, Jesus does help me. Remember, failure is not an impossibility. I can conceive more than one Christian who said, “Lord, I claim the fulness of the Holy Ghost. I want to live every hour of every day filled with the Holy Spirit;” and I can conceive that an honest soul who said that with a trembling faith, yet may have fallen; I want to say to that soul, Don’t be discouraged. If failure comes, at once, without any waiting, appeal to Jesus. He is always ready to hear, and the very moment you find there is the temper, the hasty word, or some other wrong, at once the living Jesus is near, so gracious, and so mighty. Appeal to Him and there will be help at once. If you learn to do this, Jesus will lift you up and lead you on to a walk where His strength shall secure you from failure. 7.And then comes my last thought. The presence of Jesus was forgotten while Peter looked at the waves; but now, lastly, we have the presence of Jesus restored. Yes, Christ stretched out His hand to save him. Possibly-for Peter was a very proud, self-confident man-possibly he had to sink there to teach him that his faith could not save him, but it was the power of Christ. God wants us to learn the lesson that when we fall then we can cry out to Jesus, and at once He reaches out His hand. Remember, Peter walked back to the boat without sinking again. Why? Because Christ was very near him. Remember it is quite possible, if you use your failure rightly, to be far nearer Christ after it than before. Use it rightly, I say. That is, come and acknowledge, “In me there is nothing, but I am going to trust my Lord unboundedly.” Let every failure teach you to cling afresh to Christ, and He will prove Himself a mighty and a loving Helper. The presence of Jesus restored! Yes, Christ took him by the hand and helped him, and I don’t know whether they walked hand in hand those forty or fifty yards back to the boat, or whether Christ allowed Peter to walk beside Him; but this I know, they were very near to each other, and it was the nearness of his Lord that strengthened him. Remember what has taken place since that happened with Peter. The cross has been erected, the blood has been shed, the grave has been opened, the resurrection has been accomplished, heaven has been opened, and the Spirit of the Exalted One has come down. Do believe that it is possible for the presence of Jesus to be with us every day and all the way. Your God has given you Christ, and He wants to give you Christ into your heart in such a way that His presence shall be with you every moment of your life. Who is willing to lift up his eyes and his heart and to exclaim, “I want to live according to God’s standard?” Who is willing? Who is willing to cast himself into the arms of Jesus and to live a life of faith victorious over the winds and the waves, over the circumstances and difficulties? Who is willing to say this,-“Lord, bid me come to Thee upon the water?” Are you willing? Listen! Jesus says, “Come.” Will you step out at this moment? Yonder is the boat, the old life that Peter had been leading; he had been familiar with the sea from his boyhood, and that boat was a very sacred place; Christ had sat beside him there; Christ had preached from that boat, from that boat of Peter’s, Christ had given the wonderful draught of fishes; it was a very sacred boat; but Peter left it to come to a place more sacred still,-walking with Jesus on the water,-a new and a Divine experience. Your Christian life may be a very sacred thing; you may say, “Christ saved me by His blood, He has given me many an experience of grace; God has proved His grace in my heart,” but you confess “I haven’t got the real life of abiding fellowship; the winds and the waves often terrify me, and I sink.” Oh, come out of the boat of past experiences at once; come out of the boat of external circumstances; come out of the boat, and step out on the word of Christ, and believe, “With Jesus I can walk upon the water.” When Peter was in the boat, what had he between him and the bottom of the sea? A couple of planks; but when he stepped out upon the water what had he between him and the sea? Not a plank, but the word of the Almighty Jesus. 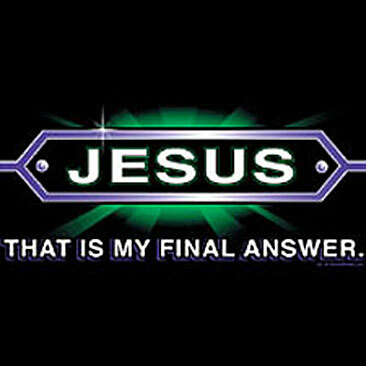 Will you come, and without any experience, will you rest upon the word of Jesus, “Lo I am with you alway”? Will you rest upon His word, “Be of good cheer; fear not; it is I”? Every moment Jesus lives in heaven; every moment by His Spirit Jesus whispers that word; and every moment He lives to make it true. Accept it now, accept it now! My Lord Jesus is equal to every emergency. My Lord Jesus can meet the wants of every soul. My whole heart says, “He can, He can do it; He will, He will do it!” Oh come, believers, and let us claim most deliberately, most quietly, most restfully,-let us claim, claim it, claim it, CLAIM it.